Vintage effects and velvety softness for this solid colour piece which stands out for its strong chromatic impact. Velvet Skin is a flash of colour that breaks the monotony, but it is never invasive. 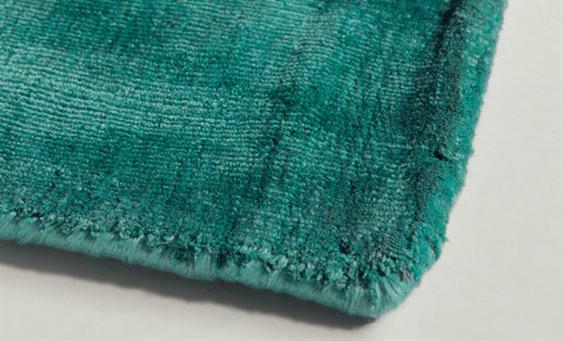 In pure vegetable silk made from cellulose, this plush rug produces interesting effects. Velvet Skin made from 100% vegetable silk - brilliant, soft and natural in vivid colours. The velvety look of the rug shown in the close-ups.